Al-Arabia – Last week, I wrote about the water crisis in Iraq largely caused by Iran and Turkey. Today, in this second part, I want to share about electrical issues, banking challenges and national defense challenges for Iraq borne at the hands of the Iranian mullahs in Tehran. Recently, the water crisis in Iraq brought on by the Turkish and Iranians damming the Tigris and its tributaries have left the Basra region high and dry. Local Iraqis have attacked public buildings in protest and burned the Iranian consulate raising the Iraqi flag over the embers. Iraqi/Iranian tensions are growing rapidly. Further evidence of this can be found in the tale of the Public Mobilization Forces (PMF). The PMF is something of a people’s army raised at the “suggestion” of Imam Sistani, the religious leader of Iraq. Imam Sistani is a reserved man who is loath to offer random opinions on current matters. He is one who allows his beliefs to inform his temporal actions. In short, he is the polar opposite of the Mullahs in Iran in his restraint and piety. 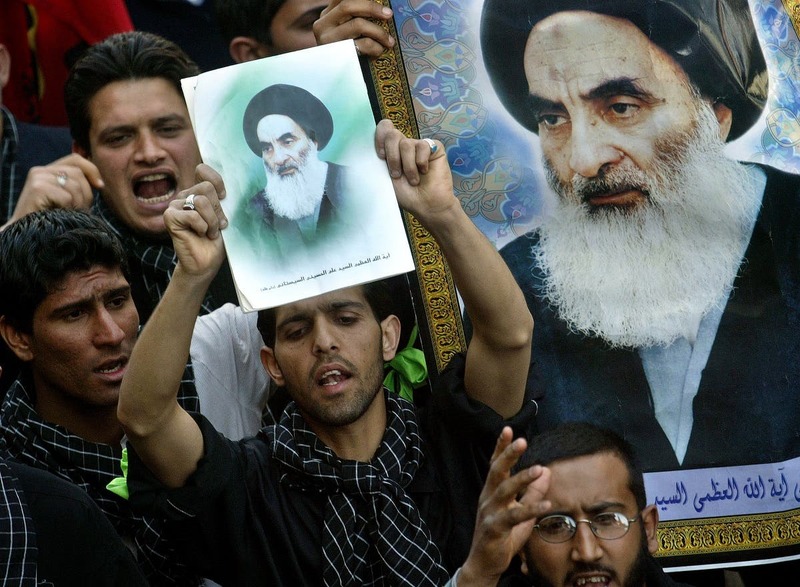 Imam Sistani is considered the “safety valve” for Iraq. He moves into operation only when the pressure is too great to normally dissipate. He is almost always popularly obeyed. So, when a man like this calls for a popular uprising against ISIS and for the formation of the PMF, the people hear and work to that end. The common people raised and at least partially privately funded the PMF to secure Iraq’s borders from ISIS and to augment the Iraqi Army. Over time, this organization fulfilled its role and chased ISIS from Iraq and earned a glorious reputation for itself. Recently however, the PMF has evolved into a stronghold for Muqtada Al Sadr and Iranians looking to remain under arms while being in Iraq. Iran has been using its growing influence inside this group to control the smuggling from Iran to Syria. It is an open secret that the once glorious PMF is now a pathetic facilitator for Iranian money and drugs being moved across Iraq to Hezbollah in Syria and beyond. The PMF controls access at the borders of Iran and Iraq and at the borders of Iraq and Syria. They use this exclusive border access control to facilitate Iranian criminal shipments. The PMF has also acquired a civilian, political arm, the Al Fatah Alliance. In the recent elections, the Alliance was the second largest voting bloc after Al Sadr’s bloc. This Iranian cancer in Iraqi politics has grown to gain legitimate seats in the Iraqi parliament. Now Sadr, once having promised to bring Arab nationalism to Iraq, will join with the Iranians in the Alliance to try to form a government. No result is clear yet and months of negotiations are coming but the future of Iraq will almost certainly be shaped by Iran and its puppets like Al Sadr and the Al Fatah Alliance. Imam Sistani is expected to issue a fatwah soon commanding the end of the PMF. Imam Sistani uses this power sparingly and with great care. The circumstances of the PMF will almost certainly make-up just such a situation for Imam Sistani. It cannot come too soon. In addition to the woes to Iraq brought by the Iranian-controlled PMF, Iran has also stopped selling electricity to Southern Iraq. In the South of Iraq, Iranian electrical power is distributed into Iraq for electricity consumption shortfalls which have plagued Iraq for decades. The summer temperatures regularly climb north of 120 degrees Fahrenheit and, with no water in the Tigris basin, a lack of electricity makes an intolerable situation in Iraq’s southernmost provinces. Iran is suspected to have done this in retaliation of Iraq helping the US with sanctions against Iran – notably depriving Iran of hard US currency in trade. Iran is starving for hard currency. Its economy is a near-basket case and the Iranian Rial (IRR) is collapsing. Iraq has been a large source of US dollars paid to Iran for goods and services in annual, normal trade with Iran. No longer; and Iran is feeling the pinch hard – hard enough to punish Iraq for complying with the United States’ sanctions against Iran by terminating summertime electricity sales to Iraq’s South. Iran is so hard up for hard currency; it offered Iraqis 12% semi-annual bonuses on investments of US dollars in Iranian banks. Many Iraqis sold all that they had, converted their Iraqi dinar to US dollars and headed for Iran. Looking to get 24% annual interest on the investment, Iraqis pumped untold millions of US dollars into Iran. Once in Iran, the dollars were taken and the investment was converted to IRR. The recent and rapid inflation in the economy and the collapse of the value of IRR against the dollar has made these investments (even with the huge interest paid) almost worthless. Iraqis were left with wheelbarrows of near-worthless paper. Iranian influence in Iraq has been a scourge and, as seen in the streets of Basra, the Iraqi people are taking matters into their own hands. The Iraqi government must do something soon – new elections in the light of the now understood Iranian influence might be a start. The American government must also be ready to aid its ally and help Iraq to throw off the Iranian yoke. There is much that the United States can do. More about that next week.